In this post, I am going to tell you why you should never buy Videocon d2h HD. Basically it is a review of Videocon d2h. If you are thinking of buying Videocon d2h, drop the idea. Seriously save your money and time. When I bought our first HD LED TV from Flipkart, I started researching the best HD DTH service in India. Actually not best but cheap and value for money. I found Videocon d2h HD to be the cheapest provider of HD channels and I bought it. This was my biggest mistake. Not only pricing, their service also turned out to be cheap. Pricing was the only advantage of Videocon d2h but now-a-days even that is not an advantage because they have started charging Rs.150 extra for availing the HD channels. This sounds great that you will get to use a remote which you don’t have to point to the TV. But what is the benefit of that remote if it only works for 2 months. Yes, you read it right. This remote’s lifespan is just 2 months. After 2 months, buttons will stop working. But whether some button or all buttons stop working depends upon your luck. After 2 months, you will have to spend Rs.350 to get the new remote. This cycle continues. So basically you would have to shell Rs.2100 for remote every year. Also be ready to pay Rs.200 for the technician visit. Also the buttons on the remote are hard to press and not smooth on the fingers. Having checked other DTH remotes in homes of relatives and friends, I would say Videocon d2h has the worst remote I ever used. Tip: If you are buying a new remote from Videocon d2h, don’t give the old remote back. You are not entitled to give it back. You have paid Rs.350 for the remote. Last time I did not give it back and their engineer asked me to give him the old remote for Rs.100. He said he would take that remote. He would show the remote in the name of another customer who would have some problem in set top box. He would then tell the company that he changed the remote. Even the engineers hired by Videocon d2h are busy in looting the customer as well as company. 2) Laggy Software: The set top box takes forever to process the commands given through remote. It takes about 5-10 seconds to change the channel. The user interface is laggy and looks cheap. The set top box sometimes turn off itself in the middle of TV viewing and restarts. Booting takes more than 1 minute. 3) Rude and Arrogant CS Executives: The customer care people hired at Videocon d2h are unprofessional and don’t know how to talk to customer. I have taken the freedom to rephrase how he said it. He was speaking in Hindi. His tone showed rudeness and arrogance and he was talking like he was doing a favour to me. 4) Offers for Looting Customers: They run an offer called ‘Khushiyon Ka Weekend Offer’ in which they give an add-on channel or pack of channels for 30 days by paying Re.1 It seems awesome, no? “Once subscribed @ Rs 1/-, ‘English Entertainment Add-on’ shall be available for 30 days & cannot be de-activated before that. After the 30 day’s subscription period, the ‘English Entertainment Add-on’ will be auto renewed at the normal price of Rs 62/- or such price prevailing at that stage. So basically the customer cannot deactivate the add-on when he wants and he would have to wait for that one day before the offer completion. And if by any chance, the customer forgets to call the customer care, his account will be debited. This is the worst offer. Why cannot you simply give an offer which would automatically end after the offer or on a date specified by the customer. 5) Removing Add-On: When I wanted to watch the La Liga, I applied an sports add-on to my account. After the series ended, I wanted to remove the add-on but I wasn’t able to because of their policy according to which you can’t remove the add-on before 3 months. 6) Unwanted Calls and SMS: Videocon d2h sends numerous promotional messages to my phone. They also call my mobile in which an automated voice promotes her offers down my throat. 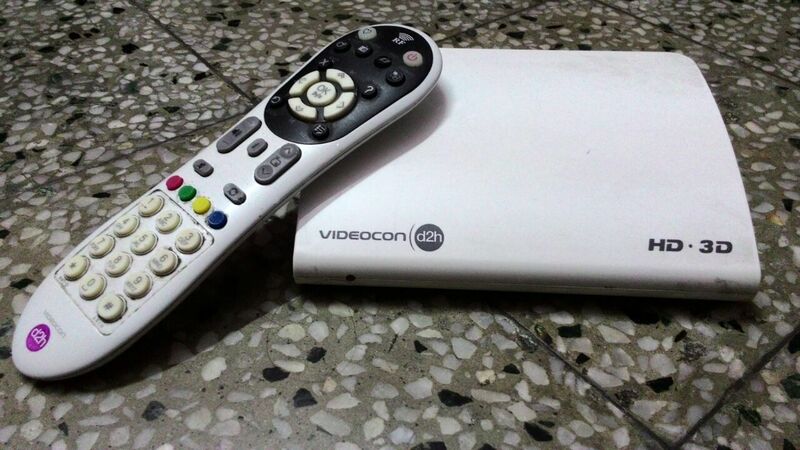 Verdict: Videocon d2h is in the business of looting customers. If you care for your time and money, don’t go with Videocon d2h. Go with some other DTH providers. I am going to buy HD DTH of some other provider. If you are using some other provider, please share your experience and recommend which one should I buy? Also share your experience and review of Videocon d2h if you are a customer or ever been? I am soon going to do a list of top best HD DTH providers in India. Stay tuned ! Worst service never go with Videocon. I wasted my 3 days waiting for the serviceman to come. Daily they tell he will come before 6 but nobody came. 4 day when we called customer care they are telling address is not there. Worst service. Please do go with videocon. Even they will charge 450 rupees for a 1-time visit. Worst service. Worst customer service. Never go for D2H. Am trying from last two months for my password but no response .Its worst software application i have ever seen in my life.If i give correct user name and password it wont allow me to login. Exact same problem with me too! They have just put some default pack and I cant login and pick my desired pack, so im paying more. Hence they are delaying the solution to this issue I believe. For some days now, no channels at all, TV stuck on d2h logo and wont respond at all. Have been calling CC to send someone, about 10 calls and 10 emails but no luck. I have been paying without using their services! I wish there was a way we could hit them where it hurts! Bloody cheats!! customer service has no clue about technology. I wrote 8 mails asking for password reset since i was not getting OTP and everytime i got a reaponse how to signup as a new user and finally last mail.mentioning “password reset”. Never got a link, nor a password. Very poor customer service. Customer care people have no information regarding the queries nor they could solve any problem. They don’t pick up the phone ever on time. D2h is always down with all the possible issues like server, customer care services and providing services. They keep asking call again but never try to solve the issues. We are bond to the rules laid by TRAI. But m not able to see anything of my choice. I am at their mercy. There must be some porting facilities as we have in mobiles to solve the issues. The worst issue I have with Videocon d2h is their customer service. In fact, you cannot call it a service! First, you call their toll free number and wait for 5 to 6 minutes to get someone on line. Then, there is so much background sound that it is difficult to hear anything. If you can manage to hear the person, they will go on saying: ‘You are not audible. There is no response ‘… And they disconnect! Whatever is the customer supposed to do? And most of their ‘executives’ (barring a few decent ones) seemed to have been picked up from the streets and made to sit in their call centre, with no idea of how to talk, no understanding of the customer’s problem, and even if they manage to understand, there is usually some mix up in the execution. I’m just waiting for my recharge period to get over. After that, I will go with any other provider. I would also like to tell people: Don’t buy Videocon d2h. They cannot treat customers like dirt and get away with it. My Videocon D2H stopped working about 15 days back. I raised a complaint. A service engineer was supposed to visit to fix the issue. Nobody called or came after over 13 days of raising the complaint. What incompetent imbecile run this company. Money sucking fools are sitting on top I think with no genuine interest of minimum level of service for the money they rob. Really very disappointing services from videocon d2h. I reebot setup box and it stoped working. There was written on screen Sattelitte Management and it was asking for some secret code. I called customer care and they were unable to solve issue and simply said service engineer will visit and will charge Rs. 200 for its rectification. Now the thing is issue is from their end then why customer should pay service charge of engineer visit. They are simply making customer fool. Please do not buy videocon d2h. Hello we started vediocon d2h after a long period…They are charging extra technician fee for software update.after how much time this software update is needed or they r just looting and minting money. Hi Manish, I would suggest Tata Sky. Hi Kiran, doesn't it result in more cost since you have to pay again for set top box and installation charges? I am using D2h for 4 years now.. my trick is that i buy new connection every year so that i receive new box and new remote..For me remote is not a problem but I agree channel lag is when you try to change.. My tip is buy through ebay with some coupons and annual package so that they will give you HD channels free..